Nearly 3,000 people from 53 different countries were detained in immigration detention centres (Centro de Internamientode Extranjeros or CIEs) in Spain in 2013, according to a recently published report summarising the findings of Pueblos Unidos’ monitoring of centres last year. One of the key findings of Pueblos Unidos’ monitoring is that immigration detention is overused by the authorities in Spain, in two main ways. First, the particularities of each case are not analysed and evaluated. The police reportedly automatically request admission to the CIEs when an individual has a removal order, ignoring the particularities of the case (such as if the person is in the process of requesting residency). Courts tend to rubber stamp detention applications, although detention is supposed to be a measure of last resort. Second, in many cases detention is used even when there are no reasonable prospects for deportation. For example, in Barcelona in 2013, 54% of detainees were reportedly released while only 46% were deported. Deportation is especially ineffective for individuals who have recently arrived in Spain: of 54 recent arrivals Pueblos Unidos visited in 2013, they are aware of only 6 deportations. The report points out that the Spanish legal framework has many guarantees, but is lacking implementation in practice. Judicial review is often ineffective and the quality of legal representation for immigration detentions is reportedly often very low. Furthermore, Pueblos Unidos has found that the conditions in CIEs are poor and very basic needs are unmet. Of particular concern is the total lack of freedom with the CIEs, where the general attitude is one of prohibition rather than suspicion. 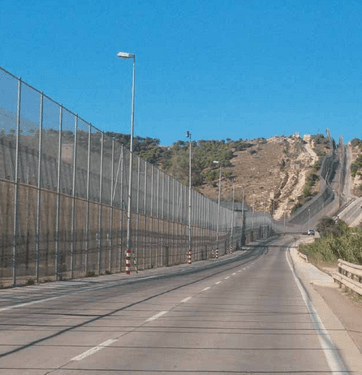 Through its regular monitoring, Pueblos Unidos has been able to confirm the strong negative psychological impact of immigration detention on individuals in Spain. It argues that the human costs of detention is too high, regardless of the achievement of its goals. The report calls on the government of Spain to implement less coercive means such as informed and assisted voluntary return and other alternatives to detention.